turmeric is historically originated from India. The product for sale is from Thailand. Curcuma is a genus of plants belonging to the family Zingiberaceae, comprising 80 known species. The plants belonging to this genus (as many Zingiberaceae) are used for food and medicinal purposes. The most useful is the spice Turmeric or saffron of the Indies (often referred to as turmeric without further clarification). 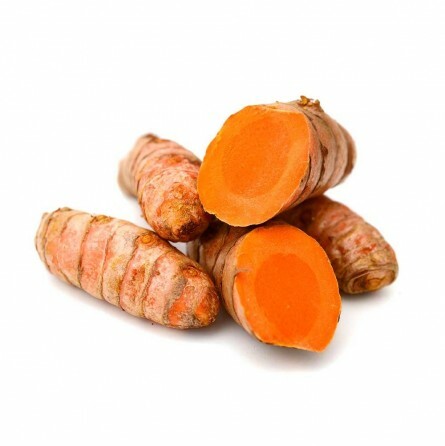 On the one hand turmeric demonstrated a profound anti-inflammatory activity and other natural anti-infective properties of extreme interest (in fact belongs to the same family as turmeric ginger). Already these features make it another standout in terms of natural modulation of the immune system. More in-depth scientific studies have also shown its antitumor activity on the floor and antidegenerativo recognizing this tuber an important role in the prevention of diseases such as Alzheimer's and Parkinson's diseases. As if that were not enough of a study published in 2008 showed that this Psychopharmacology tuber also has antidepressant properties. In particular, studies showed the effect of the curcuminoids (the active ingredient in turmeric), which play the central nervous system in the regulation of two important neurotransmitters, such as serotonin and dopamine, involved in the modulation of emotional states. The powdered root of turmeric yellow-ocher are the main ingredient of curry. The rhizomes are boiled and then dried in the oven for hours and finally ground to produce a food coloring or the spice of the same name. The vibrant yellow color of the powdered root is used as a food coloring completely harmless, it also indicates the use for fabrics but fades quickly. In some regions of India, a turmeric root hanging from the girl's neck is part of the rite of marriage promise. NOTE: The information contained on fruttaweb.com are for informational purposes only. For any further information, phone +39 051 690 03 11 or by email from the contact page. Buono, sono contento(a) del mio acquisto. E dai la tua opinione: Come descriveresti questo prodotto? E' la prima volta che vedo la radice di curcuma quindi non saprei fare paragoni ma sembra molto fresca nonostante come origine viene indicato il Peru'.